Cost/Fee: $80.00 for 1-2 sites; Additional charges apply for submissions including more than 2 sites, specialty services such as dermatology or hepatopathology consults (liver consults), complex submissions, or field necropsies as described below. STAT not available on all submissions. 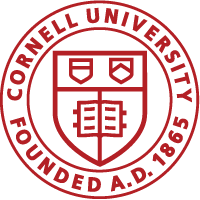 Please contact in advance for availability at 607-253-3319 or pathologyservice@cornell.edu. Description: Microscopic examination of formalin fixed, paraffin embedded tissue slides with hematoxylin and eosin staining. Additional special stains, including up to two immuno-histochemistry (IHC) stains, will be added if deemed necessary by the pathologist. Additional IHC stains may be requested for an additional fee.